21 applications representing 15 different sports have been received for Grant Aid, Scholarships plus consideration for the 2018 Junior Sportsmen awards. These are now been reviewed and tough decisions need to be made resulting with a selection invited to the Sports Awards at the Apollo Hotel on Friday evening March 1st 2019 and the others attending a mayors reception the following Monday. Note that the photos at the bottom of this page are just a selection of nominations and not relevant to any decisions as to finalists at this stage. Since starting Jiu Jitsu at age 7, Charlie has had many successes. 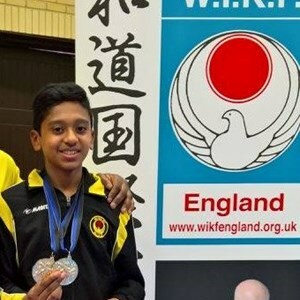 In 2018 he competed in both Junior Nationals and World Junior Open Competitions where he won gold medals in both events. Charlie also won many medals at the local events he attended. Charlie is really small for his age and despite being only 30kg in a 38kg division he now has 2 Major titles! 8 kg in the sport is huge, so for him to even win fights is remarkable let alone win titles. Jack achieved 3rd overall in the Destination Basingstoke Junior League (4 races), and is ranked 7th in his club for u13 800m and 5th for High Jump. He represented his club in almost every race over the xc and track season and was 5th in his Hampshire Championships heat and 33rd in Hampshire xc Championships. Jack is a positive athlete and works extremely hard. He always turns out to represent his club and shows a determined and positive attitude to succeed. 2018 highlights include; representing GB in Roveretto, Italy at the European Youth Cup and winning Silver in the Cadet Team. He also placed 6th in the GB Youth Festival and 6th Adult in National Series (Stage 2). Jacob also had a technique change with his coach in 2018 and he is starting to see the benefits now. He is also working hard in the gym, and with practice, to ensure he gets through to the National Series finals. Jacob enjoys helping and coaching other Archers with both equipment and technique and he is enrolling on an Archery GB Coaches course in 2019. Scott had a successful 2018 which saw him compete in the Hampshire County and South East Regional Competition and he also reached both the Scottish Open Nationals and English Nationals. For 800m (LC) Scott is ranked 1st in Hampshire, 8th in South-East, 32nd in England. 400 IM he is 5th in Hampshire, 14th in South-East, 73rd in England. 400 FC 2nd in Hampshire, 12th in South-East, 61st in England. 200Fly 3rd in Hampshire, 15th in South-East, and 67th in England. In 2018, Hayden changed his Taekwondo Club to concentrate 100% on the sport side of Taekwondo. He now trains three times a week in Southampton with BTS which is a GB talent club. Hayden was invited into the senior squad and was awarded his black belt. 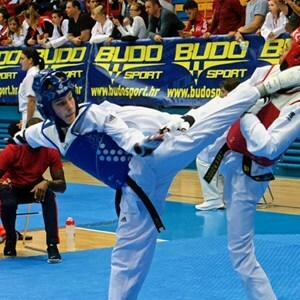 He achieved 3rd place at a world ranking competition in Croatia and a silver medal at the u18 National Championships, along with gold at the Welsh Open. Charlie competed for GB in Germany at the 2018 European Triathle / Biathle Championships. He became European Triathle Champion, was 3rd in the individual Biathle, 3rd & 2nd in the Tri /Bi mixed relays. He also qualified for the GB teams to attend the World Champs in Egypt and the World Laser Run Champs in Dublin. He concluded the season coming 2nd at the British Biathlon Champs. Cameron was part of the GB team competing in Germany in the European Triathle Championships where he came 7th individually and 5th in mixed relays. He also qualified for the GB teams to go to the World Champs in Egypt and the World Laser Run Champs in Dublin and concluded the season coming 3rd at the British Biathlon Champs. In August 2018, Casey won the ‘Junior Ellesse Chandos Open’ which was his biggest win to date. Casey began playing tennis at the age of 4 and in 2018 he entered 20 Graded tournaments, winning 14 first, second and third place trophies. Casey has represented his tennis club since 8 years old, playing in County team competitions and winning in excess of 30 matches, giving him a 100% win rate. With a delayed start to his season due to injury, Arne achieved a number of “A Finals” in the 9-12 BMX Cruiser class at National Level, with a best of 4th place. Arne competes in 2 classes on the race day, BMX and BMX Cruiser, and is 1 of 4 riders in his age group of 130+ that do. 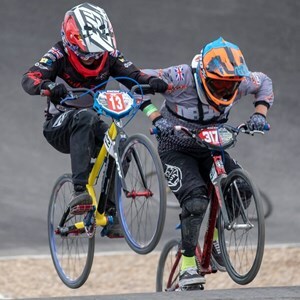 He excelled at the British BMX Championships in 2018, making the A Final in 9-12, BMX Cruiser placing 7th and also in the BMX 11s class he exited the event at the Semi- Final to place 11th. Arne also qualified for the UCI World BMX Championships 2019 Zolder. Leo performed well in all his competitions, getting both medals and experience in fighting and kata. He also competed in the World Karate competition. Over the year, he won 6 medals at competitions in Wales, London and Thornbury. He is a role model for the younger student at his club and helps them with their technique. As part of his black belt, Leo also had to write a talk about nerves before a competition and then take a question and answer session with the younger students. Oliver is an exceptional ice hockey player, playing beyond his years. He started playing hockey at the age of 5 and over the years he has played for the LA Junior Kings Team in California for a season. For Basingstoke he has 132 games played, 127 goals, and 40 assists. Oliver’s Club are very excited going forward to see Oliver grow further and watch what he achieves next. Luke is 2018, U16 British Beach Volleyball Champion and still has another year at this age group. He played for England U17 in NEVZA and Captained the South East England team where he was voted Most Valuable Player at the Inter-regional Championships where the team came 2nd overall. Luke is also captain of the U15 and U16 at Wessex. 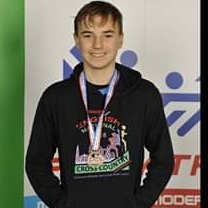 Joshua trained at middle distance running and represented BMHAC at the National Cross Country relays in Mansfield and South of England relays at Wormwood Scrubs. In summer 2018 Joshua represented Basingstoke Schools in the 1500m Steeple Chase where he placed 1st which sees him qualify for the Hampshire Schools Cross Country Champion ship in January. 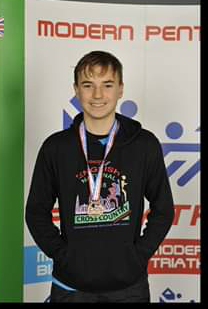 Joshua also won the Green Park Reading 3000m road race in May and represented Basingstoke at the Annual Festival of Sport in Germany last June. Samuel started with BMHAC just over a year ago and since then has represented the club at two South of England events. He also represented Basingstoke schools at the Hampshire School Championships and will be representing Basingstoke at the Hampshire Cross Country Championships in 2019. Samuels’ future goals include running at the Hampshire Cross Country Champs and the Hampshire Athletics Champs in 2019. Jak is a competitive show-jumper within the pony-club and has progressed through levels exceptionally quickly. He is now riding way beyond his age group showing great maturity moving beyond expectations. 2018 listens and learns well heading toward great things qualify for championships in games, and competed at bca with his pony club team to qualify 1st place after 2 show jump rounds. Winning qualified his team to jump in the main arena at Hickstead all England show ground in 2019. In 2018, George scored a massive 194 for Hampshire U17 v Worcestershire U17 and was 1st reserve for the South West England U17 at Loughborough even though he is only 16. He played five 2nd team games for Hampshire, top scored with 44 and he also kept wicket in a 4 day friendly against Middlesex where he took 3 catches. George also helps coach The North Hants District sides every Saturday. The age groups he coaches are U12, U13, U14 and U15 and he is a positive role model. In 2018, Zachary represented Hampshire at under 25 level and entered Senior and National Competitions within club and County. He was also an English Bowls Youth Development Scheme Regional finalist in April 2018. Zachary progressed from junior to senior competitive matches for his club and is now playing with, and against, senior players at both club and county level. He has been a role model, and inspiration, to the Lodden Vale Juniors because of his modesty, popularity and success and his future goals are to maintain a high standard of bowls, progress further and compete at Regional and National level. In February 2018, Oli represented Hampshire at the Southern Schools XC which was a great achievement as he was the younger year of his age category. In June at the Hampshire Schools Athletics Championships (3000m) Oli came 2nd and qualified for Hampshire, and at the South East Schools Championships Oli was the 1st Hampshire runner to finish. Oli is a role model to many young athletes at the club as he has proven that through hard work you can succeed. 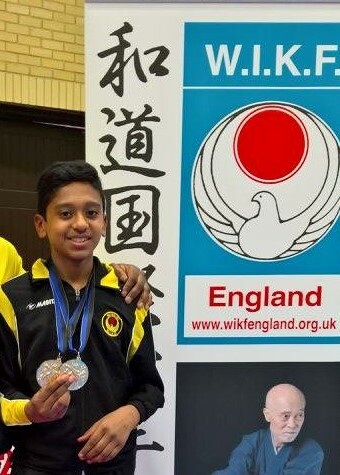 The biggest achievement in 2018 for Lucas was receiving a silver medal in kumite at the EKF nationals for the first time and in the Portugal Europeans he also achieved silver despite being the youngest and smallest in his category. 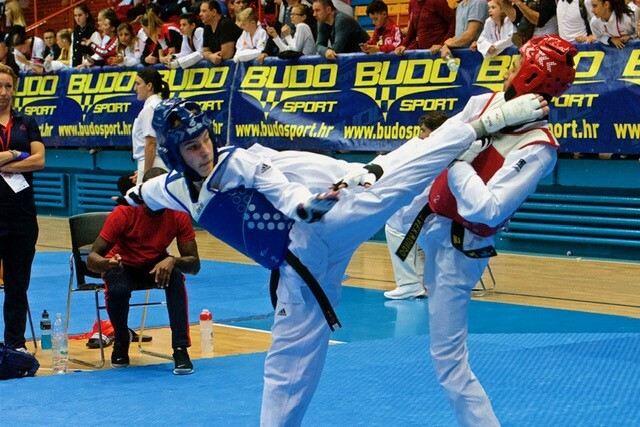 He stepped on the mat in the Portugal Euro’s for the first time competing in Kata a more traditional but mentally exhausting part of karate and exceeded his 2018 performance goals by taking on a new age and weight category and achieving high positioning with his medals.